For many people, RV'ing and golf go together like ham and cheese. Perhaps you know of someone that shares that sentiment. If you do, why not surprise them with a golf themed gift basket filled with RV accessories and other goodies? Believe it or not, there are quite a few sport themed, RV accessories that could be used for such occasions. Board and several bottles of wines created by professional golfers into one basket. Some of the professional golfers that have their own brands of wine are Ernie Els, Luke Donald, Jack Nicklaus, Gary Player and Arnold Palmer. 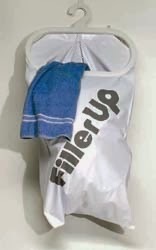 The pro golfer wine bottles would fit perfectly inside of the sack. The two-toned cutting board, on the other hand, has a sand trap shape and is capable of being stored on a golf cart. 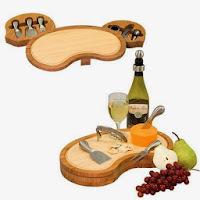 In addition, the board features a special compartment that holds a corkscrew, bottle stopper, cheese shaver and two cheese knives. If your golf fan prefers meat and potatoes over wine and cheese, there are other options. After all, there have been several pro golfers over the years that have turned towards food service. Take Paul Oropesa for instance. He started his own barbecue restaurant in 2010. Professional caddy, Jeff King also entered into the industry when he launched his own line of beef jerky. Many pro golfers eat his jerky products to this day. With that in mind, we’d suggest combining a Sportula Golfer Premium Grill Spatula, Outdoors Unlimited RV Sidekick Grill, a couple bottles of barbecue sauce and a package of Kingmade Jerky into one gift basket. Rand McNally Tripmaker RV GPS. Three other RV accessories that would make ideal gifts for golfers are the Flagpole-to-Go Golf Cart Flagpole, Flagpole-to-Go 12” x 18” American Flag and the Rand McNally RVND 7720 LM Tripmaker RV GPS. The GPS system comes with built-in lifetime maps and travel content that will point your favorite duffer to the nearest golf course and campground. You could put all three into one basket and add other items like golf balls, tees and towels. To take a closer look at these golfer approved, RV accessories and others, please browse our website or contact us at (866) 332-7881. Long gone are the days of having an ignition key and a door lock key in your passenger vehicle, actually so many of the new vehicles coming out today don't even have a key at all. But yet, the RV seems to have been left in times long forgotten. I have read posts in RV forums from new RV'ers who asked where the key fob was after getting handed a key chain full of keys. It is surprising that RV manufacturers continue to lag so far behind in technology on so many different levels. But on door locks? So when Bauer Products released their electric door lock for trailers, the Bauer NE, earlier this year the whole industry took a step forward. And most recently the motorhome version, the Bauer EM, which made me (a motorhome owner) very happy. I know what some of you are thinking, keeping it simple is a good way to be. But even on my 11 year old Jeep Liberty that key fob has never let me down, and I haven't even changed the batteries in all of those years. The Bauer Electric RV Door Lock features an integrated easy to use key pad which holds your personal 4 digit entry code. O.K. so we didn't quite make it to the top step of the technologic ladder with a key fob for this lock, but there is good reason. This lock was designed for ease of installation and requires no wiring, actually the only tools you need are a phillips and flat head screw driver. That and 4 AA batteries which will keep this lock operational for the entire camping season. 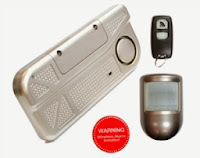 Since the system is not connected to a constant power source, a wireless receiver would deplete the batteries all to quickly and the reason this door lock does not have a key fob. Since Bauer put together a great installation video (Bauer Electric RV lock video) I will skip those details, but will say it is super easy and takes all of about 5-10 minutes, a little longer if you need to replace the striker plate. What I love about this lock is the convenience it provides and not having to carry around keys! Many early mornings while camping, I am off on a bike ride and I don't want to carry keys while the rest of the crew sleeps in. Or when we are off hiking, or if we need friends to let our dogs out while we are away or if the guys go one direction and the women another and the person who has the keys is not the first one back. There are so many reasons this RV door lock is a must have RV accessory and I am sure you will find many of your own. The quality of the lock is excellent and heavy duty with features like a lighted touch pad for night time entry and nice big buttons to easily enter your code on. There are a number of audible beeps to let you know when the door is locked or if there is an obstruction and it cannot lock. Your even notified when the batteries only have a limited number of uses left in them so you have time to get replacements. So if you have been looking to bring a little more 21st century convenience to your RV the Bauer Electric RV Door lock is a great place to start. Many years ago, when people went camping in an RV, their indoor entertainment options were what one would classify as “slim pickings.” The choices generally consisted of games, ghost stories, transistor radios, books and if you where really lucky starring at a fuzz filled black and white television screen. Today's camping enthusiasts have a broad range of entertainment options to choose from on those gloomy rainy days thanks to modern motorhome and camper accessories. One of those superlative options is the chance to watch satellite television. Companies like Winegard have a huge assortment of satellite antennas and satellite finders to offer. Some of the satellite antennas are designed to pick up signals from more than one provider. The Wingegard GM5000 is a fine example. It allows campers to choose DISH TV, Bell TV or DirectTV as the satellite provider for their RV. Others, like the Winegard PA6002 Pathway X2, are compatible with just one satellite service provider. The satellite products are not the only motorhome and camper accessories available either. RVers have the option of installing television antennas designed to pick up local VHF, UHF and HD broadcasts too. The antennas can generally be divided up into two categories; amplified and non-amplified. The amplified antennas tend to be ideal for use at campsites where the signals are weak due to obstacles like mountains, trees, buildings and other RV's. Generally, TV signals in more remote places can be very weak and the amplifier signal will help tune those in. Otherwise, you may end up with no channels available at all and having to pull out that old transistor radio again. If you have an older motorhome, travel trailer or fifth wheel camper and are looking to upgrade that radio with something you can link an iPod or MP3 player with, look no further than our stereo section. We carry stereos designed for RV's and make it possible to listen to satellite radio, WMA, MP3s, CDs and AM/FM stations a breeze. Examples include the Jensen JRV210B, Jenson DVD/CD Bluetooth Stereo and the Sony MEXDV1700U. The Sony even plays DVDs, MP4s, JPEGs and AACs. Would you like to learn more about these or other motorhome accessories designed to provide indoor entertainment? If so, please contact us via our website’s live chat feature or call (866) 322-7881. When in your home kitchen, having a high faucet makes it much easier to wash dishes or fill large pots & pans with water. The Hi Arc Pot Filler faucet from Phoenix takes that convenience to your RV so you can use larger cooking pots for boiling water with ease. 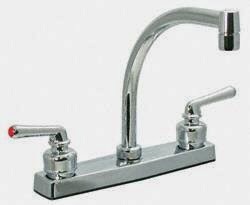 This faucet features a chrome finish and teacup handles, which add a modern touch to your RV. The spout has a length of 9 inches, so it can sit at a height that accommodates larger sizes of kitchenware. It rotates so it can be moved when necessary to fit larger dishes. The flow rate of 2.2 gallons per minute allows you to quickly fill pots and pans. The two handled design adds style to your RV kitchen. It features a DuraPro underbody, which is a reinforced plastic that is designed to be used in faucets. Chrome faucets are easy to clean, even without the use of harsh chemicals. In most cases, simple soap and water will do the job. For especially tough stains, white vinegar or vinegar mixed with water may be used. Be careful when cleaning the faucet not to use anything that will damage the chrome. When installing the faucet, it is important to keep in mind that tools should not be used when tightening any plastic parts. Also, do not force any fixtures to tighten if they are not evenly fitting together. The Phoenix Hi Arc Pot Filler faucet is made to last and provide you with reliable use. Doran Tire Pressure Monitoring System - There is nothing more important than safety and the Doran system definitely delivers that. It would be very difficult to determine if you have a tire issue on your travel trailer, fifth wheel or towed vehicle that is pulled by a motorhome until it's to late. And with all new vehicles since 2008 having tire sensors included right from the factory, drivers have come to rely on this safety feature. That is why the Doran system is not only an import accessory to have it makes for an incredibly appreciated gift. We have used this system since 2006 and have enjoyed the peace of mind the Doran TPMS delivers. Systems are available from 2 to 14 tires to meet anyones needs and installation is quick and easy! Flag Pole Buddy - 1" RV Flag Pole Kit - What's more American than showing your patriotism and flying a flag? With the Flag Pole Buddy patented flag pole mounts this is something any RV'er can do now. The best place to install the unique mounts are on the rear ladder of your camper or motorhome. And when it's time to fly the flag, simply put the flag pole into the top mount and the lower mount will keep it in place. Add a solar flag pole topper and make it an extra special gift any RV'er would enjoy. 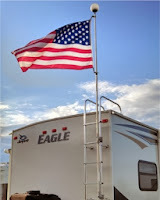 We love our Flag Pole Buddy and when you see us camping you will see the RVupgrades flag flying below the American flag. 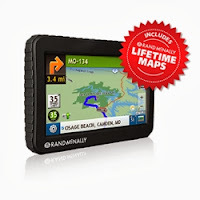 Rand McNally TripMaker RV GPS - We love this GPS but it wasn't always that way. This GPS takes some fine tuning with regards to your type of RV setup and driving habits. If some or all of these parameters are not filled in correctly you may not like the route this GPS delivers. But once completed this gift will deliver enjoyment mile after mile. The Tripmaker is design with features including a easy-grip case which is ideal when planning your adventures, brighter screen that adjusts for low and strong light, and upgraded speaker. Additional updates include Wi-Fi Connect to wireless hotspot or mobile access point on your smartphone to receive live weather data, Weather Dynamic including current and forecasted details for your current location, destination, and anywhere along your route. There are so many great features for RV'ers contained in this unit, but the best of all are all of the campgrounds available at your finger tips. When Pigs Fly - The kids and adults will Blast-off into "Hog Heaven" as they launch out of a cannon high into the sky. 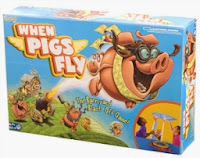 On each turn, players send a pig flying, add a pig to their pen, or give one of their pigs to another player. The first person to get rid of all their pigs is the winner. This game was a huge hit last Christmas keeping kids squealing for hours! ScanGaugeII Vehicle Computer - More information is always better and when it comes to your tow vehicle or motorhome that information came be very valuable. 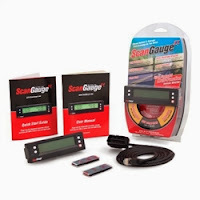 Whether your trying to save fuel or diagnose an engine issue the ScanGuage is the perfect tool for the job. This incredible vehicle computer features more than 15 built-in digital gauges, 4 trip computers and an easy-to-use ScanTool that shows both set and pending trouble codes. All this in an ultra compact design that installs in minutes. What could be more perfect for that gear head in your family. RV Die Cast Collectibles - These 1/43 scale die cast collectible toys feature free wheeling tires and wheels and built from sturdy die cast metal and plastic. Kids of all ages will love having a great replica of mom and dad's RV. Available in a fifth wheel with pickup, mini motorhome, class a motorhome, suv with travel trailer, Jeep with trailer and mini motorhome with boat. Kids will love waking up to this gift under the Christmas tree. Highlander Picnic Basket - Picnic Time has created a beautiful brown rattan & bamboo style basket with deluxe service for four. 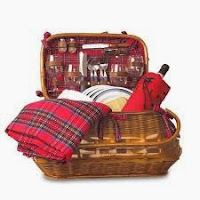 The handcrafted Highlander picnic basket was designed for the picnicking elite. The unique, original design is functional as well as elegant. This is the perfect gift for those who love to take a day trip to a park for some R & R.
Sportula grilling spatula - Camping and grilling go hand in hand and the campfire chef in your family deserves a tool that complements their talents. The Sportula grilling spatula features a heavy duty stainless steel blade with a unique laser-cut design in it. The ground front edge makes sliding those burgers onto the spatula and not into the fire. The maple handle is attached with brass rivets. Plus a bottle opener is conveniently located at the opposite end to keep the chef well hydrated. Designs are available for Grandpa, Dad or golfer in the family. Rome Panini Pie Iron - What is more fun than having the kids help make dinner? Well sometimes that means more work, but not with a pie iron. 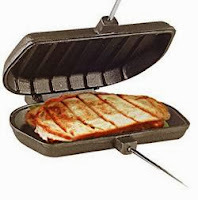 The Rome Panini press is a great for making all kids of yummy things for those finicky appetites. And best of all the cast iron design will last for generations. 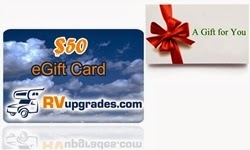 RVupgrades.com Gift Card - Still having trouble finding that one last gift? 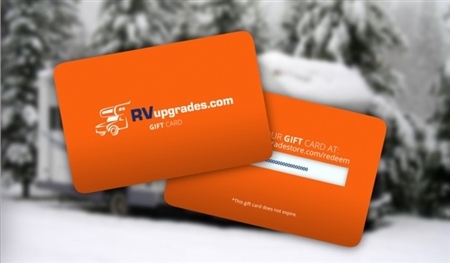 Our gift cards are the perfect answer for that hard to buy for RV'er. Don't have time to wait for a card to arrive in the mail? We still have you covered with our gift certificates that are sent by email. Oh and don't worry about an expiration date, because they never expire. So your recipient can use it anytime they may need RV accessories for their home on wheels. I hope some of these suggestions help you get that perfect gift for the RV'er in your life. You can check out more RV accessories by clicking the link below. When you’re camping, there’s nothing quite like sitting around a campfire to make you relax at the end of the day. Unfortunately, many areas regularly have burn bans in place that prohibit campfires from being started, even inside of metal fire rings. 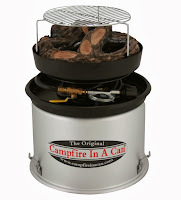 The answer is a propane fire ring, one of the most innovative RV accessories on the market today. Propane fire rings are normally allowed in areas where burn bans have been initiated, because they do not produce a spark that could ignite and cause a forest fire. They look much like a fire pit that is typically used in your backyard, and are made from non-combustible materials such as aluminum, concrete or even stone. Since they are fueled by a propane tank, they can be used virtually anywhere. Many campers enjoy roasting marshmallows or hot dogs over an open fire. Boy scouts are even encouraged to try cooking various dishes over a campfire as well. Propane fire rings are perfect for cooking on, which is another reason why they are extremely popular with those who camp in areas prone to fire bans. perfect option. And many summer nights really don't warrant the warmth a real campfire can put out. Simply adjust the height of the flame on your portable campfire and stay cool while enjoying that soothing flicker of flames. A bonus is the fact that propane fires do not produce any smoke, so your clothing will not smell bad after warming yourself next to a propane fire. 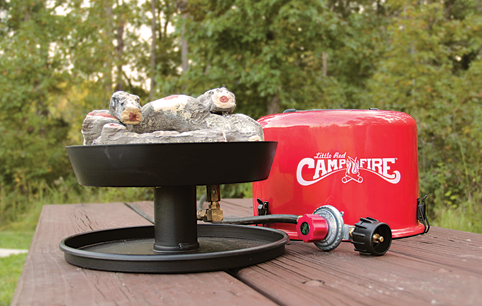 Currently the two top portable propane fire rings are the Little Red Portable Campfire and the Campfire In A Can. 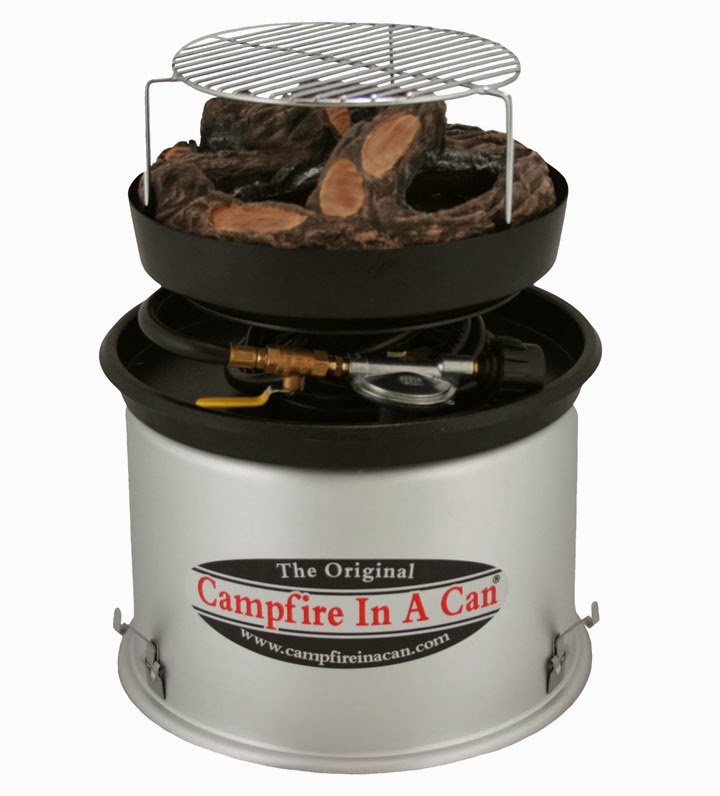 Both are very similar in style and function with the Little Red Campfire smaller and more compact in size. You can easily purchase a propane fire ring to carry with you in your RV. That way, you’ll be prepared to have a cozy campfire, even when there is a burn ban in place. I found very early on in RV ownership that the tank leveling systems installed by manufacturers are pretty close to worthless. I never understood how someone could design a system that would not work when anything came in contact with it. I am pretty sure that is why an RV has a waste tank, to hold "stuff" which is more than likely to clog those tank sensors. hoping to find something from that industry that I could utilize in my RV. We had been introduced to Garnet Instruments on a industrial project and later found they had recently introduced a RV tank monitoring system. After a little research and then some testing, the Seelevel II system which is distributed by Garnet Technologies in the U.S., became one of the first RV accessories we offered to RV'ers back in 2002. I truly love this system for it's ease of installation and amazing digital accuracy. The genius behind the Seelevel II system is in the tank sensors which are mounted on the outside of the tanks eliminating any chance for fouling or inaccuracy. Since the system uses bus technology only a single wire can handle multiple sensors. This also make it possible to easily add an additional monitor in the sewer bay if desired. The Seelevel II 709 series is available in many different configurations to meet most any motorhome, fifth wheel or travel trailers tank configurations. Each system provides tank level information using percentage of full readout. Detailed diagnostic information is available through the system monitor and systems are available to monitor up to 4 tanks, battery voltage and LP levels. Systems even include water pump and water heater switches making the swap from your old system complete. I have personally installed the Garnet system on every RV I have owned (5 to date) since finding this great product and have enjoyed perfect tank level indication ever since. The Seelevel system is definitely one of those products that improves the RV'ing experience. When going on long road trips, it’s always good to have your favorite music along, whether it be from the radio, a CD or an MP3 player. When using an MP3 player, you need to be sure your device can work with your stereo equipment, or else you’ll be left without being able to play your favorite tunes. With the Sony Car Stereo Receiver, you can make sure that incompatibility doesn’t happen. The Sony CDX-GT57UP car stereo receiver can connect almost any type of MP3 player with your vehicle’s stereo equipment. The CDX-GT57UP can also work as an AM/FM radio and CD player, so you can be certain that you’ll be able to take your favorite music with you. With various features that can help you search for and locate a song, this car stereo receiver makes it easier to find the music you want. The USB port is used to connect to your MP3 player, including iPods or iPhones, while the CDX-GT57UP can also support SiriusXM Satellite Radio. Pandora Internet Radio. and certain types Android phones are also accommodated through the USB connection. The display and controls are easy to read and are lit so they can still be seen in the dark. It can also be tilted up to 45° in order to ensure maximum visibility. The included wireless remote makes it possible to operate the stereo without being in contact with it. The Sony CDX-GT57UP is sure to bring you enjoyment during your next road trip. Dirty laundry is one of those things that has a way of piling up while camping over a long weekend or on an extended RV trip. So it is important to have the right RV accessories on hand to deal with those mounds of filthy clothes. Prime Product’s Hamp Bag is one laundry essential that you’ll assuredly want to bring along with you on your next RV camping trip. It features a built-in, heavy-duty hook which is securely attached to a gusseted, heavy-duty, vinyl bag. Because of the laundry bag’s durability, it may be conveniently hung up onto a closet rod, wall hook, mounting bracket or door handle. Thus, you won’t find yourself tripping over it or moving it out of the way during your travels. Another item that’s valuable to have on hand is a box of WashEZE 3-In-1 Laundry Sheets. What makes them so valuable is that they eliminate the need for separate containers of fabric softener, detergent and static guard. One sheet is capable of cleaning, softening and removing the static from one regular load of clothes. Since the sheets are so thin, you could also easily remove them from the box and place them inside of a resealable plastic bag. The bag could then be placed inside of a small drawer or your laundry bag. As such, they wouldn’t take up a lot of precious shelf space either. Of course washing dirty clothes is one thing and drying them is another. When it comes to that task, you may want to buy a Smart Dryer Telescopic Clothes Dryer. Constructed out of stainless steel, it weighs less than 15 pounds and may be attached to the back of your RV. Because it weighs so little and folds up into a 6 inch wide form, there is no need to be concerned about added drag. Once you’re at the campsite, operating the telescopic clothes dryer is a cinch. Simply turn the large knobs and pull the telescopic rods towards your body. After it opens fully, you’ll have 30 feet of drying space at your disposal. When you’re finished, push the telescopic rods back towards the RV and turn the knobs to secure them into place. Doing a little camping and business? If that’s the scenario, a 12 inch long Camo Folding Ironing Board is another essential item to invest in. Unlike other tabletop ironing boards of the same size, this one also folds in half. 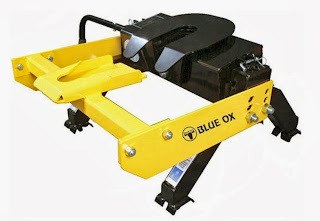 Subsequently, it can be stored in a 16 inch by 12 inch area until you are ready to use it. Finally, make it a point to purchase Stay-Put Clothes Hangers. They are designed to fit into narrow cabinets found in most RV's. In addition, they’ll help to keep your newly clean clothes from falling to the floor during transit. To learn more about RV accessories that can simplify laundry tasks, please contact us at (866) 332-7881. The Hopkins Smart Hitch Camera & Sensor System makes it easier to line up your hitch ball to your trailer. With the camera located behind the license plate, it keeps all electrical functions at the rear of the vehicle. The camera also features sensors that can detect objects located behind you, along with their relative direction and distance. This avoids damage to your vehicle from objects that may be hidden in your blind spot. If an object is in danger of coming into contact with your vehicle, audible alerts are given to warn you. The monitor is 3.5″ and is full color, while also giving a clear picture, free of interference. The Everyday mode provides you with the rear view when backing up while Hitch mode assists in lining up your tow vehicle to your trailer. A side button allows you to toggle back and forth between Hitch mode or Everyday mode. 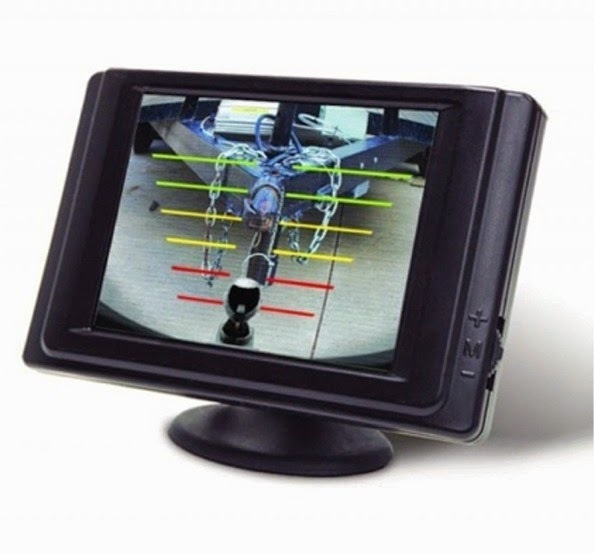 The monitor can be mounted several different ways, including on the dashboard, near the rearview mirror, or by the driver’s side window. It's important that the monitor does not block the airbags on your vehicle, or your view while driving. Once the camera is mounted behind the license plate, the cables are connected at the rear of the vehicle. The camera is adjustable and can be modified depending on the angle of your license plate or the rear view you wish to see. The sensors can be tested by very slowly backing up toward an object. Like most of you we spend a lot of time outside of the RV, usually under the awning enjoying the serenity that the outdoors provides. We try to get a hike in or explore the local attractions and in the evening enjoy a campfire cooked meal. Being outside so much, one solution I have always been on the look out for was a good trash can that was compact and easy to store. For the past few years I had been using a collapsible garbage can which works nice, but tends to get dirty and if put away damp can mold. So I was pretty excited to see a unique garbage bag holder attached to the picnic table at a neighbors campsite this past summer. That evening I asked what it was and he explained that it was called "Trash-ease" and it simply slides on to the edge of any table or counter. Put a trash bag on and you have a super convenient trash can. I have to tell you that this thing is genius! I immediately got online found the company who made them and had one on the way that day. Trash-ease features a corrosion resistant black finish with non marring rubberized coating that will not scratch or harm the attached surface. It can also be used indoors, wherever and whenever you need a garbage bag to collect trash in a clean, efficient, and hands-free way. 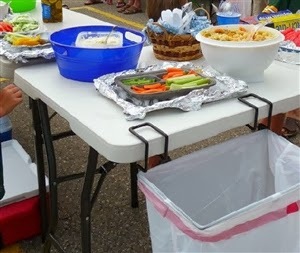 One comment I have heard about the trash bag holder from individuals who have only seen the product online is that they are worried about the smell of garbage or flies being near their food. I guess if you left old smelly garbage in the bag that could be a problem, but even if you have a garbage can you empty it often. And it does not necessarily have to be right by your food, a table can be setup away from food if needed. We have had no issue with this and I am telling you this thing is so nice to have. 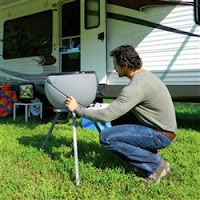 Thi is one of those RV accessories that makes camping just a little more convenient. And it's not just for camping, use it at picnics, sporting events, crafting, scrap-booking, sewing, workshops and any other place you need a place to put trash. And it can be stored away in places with limited space such as a storage bay in a camper or even a car trunk. There is no assembly and it's best of all it is made in the USA. Motion detector security systems are one of the best ways to protect your campsite from intruders. Take WestOZ Portable Wireless Motion Detection Security System for instance. It features a passive infrared motion detector sensor that is capable of securing a 150 degree pattern with a 30 foot range. The system can even be controlled remotely with a handy key FOB. We should also point out that if someone does try to breach the system, an 115db interior siren will sound off immediately. Installing motion sensor activated lights both inside and outside of your RV can also go a long way when it comes to maintaining campsite security. Of course the lights can make moving around during periods of low light safer for your RV’s occupants too. Superior products to consider in that regard are the Night Minder Motion Activated Task Light and Mr. Beams LED Wireless Remote Control Outdoor Spotlight. Adding digital wireless cameras to your RV’s set-up is another option to consider. Most are designed to increase safety during backup procedures. However, you could also use them to see who might be lurking around outside. Examples of equipment available include the Voyager Digital Wireless Camera System and the Swift Hitch Portable Wireless Backup Camera. backing. As such, installing them where needed is a real breeze. Are you carrying important documents, jewelry and other valuables in your RV too? Then investing in an electronic safe by Kwikee is a prudent action to take. 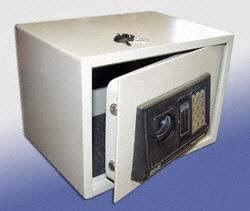 Constructed out of solid steel, Kwikee Kwik Safes feature a key pad and key system that provides great security for one’s valuables. In addition, its compact design makes it ideal for use inside closets or cabinets. To learn more about these and other products designed to keep your camper secure, please contact us. We may be reached through our site’s live chat option or by phone. Our phone number is (866) 332-7881.
to operate them as well. 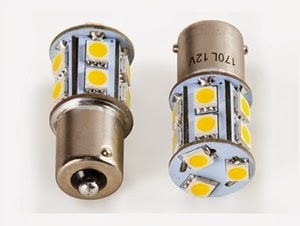 Produce Bright Light-Although they use less energy, LED lights are nonetheless very bright. As a result, you’ll find it easy to see, even when you are RVing in very remote areas. While they do produce a very bright light, they do not create a harsh glare like halogen or fluorescent lights do, making them much easier on the eyes as well. Environmentally friendly-LED light bulbs do not contain lead or mercury, which means they are much safer to dispose of than other types of light bulbs are. Long Lasting-These lights can burn on average seven years before they need to be replaced. That means you can be free to enjoy camping in your RV rather than worrying about having to replace your light bulbs at the beginning of every season. Don’t Emit Heat-Traditional light bulbs produce a moderate amount of heat, which means your air conditioning must work overtime in order to keep the inside of your RV cool. That’s not the case when you use LED lights, because they only burn at between 80 to 100 degrees Fahrenheit, thereby keeping the inside of your camper much cooler. Won’t Fade Upholstery-LED lights do not emit harmful rays that could fade your upholstery, carpet or wall coverings like incandescent lights that produce UV rays do. If the idea of switching to LED lights in your camper sounds intriguing, contact us. We have a huge selection of LED lights available, and would be happy to help you choose the ones that are right for you. Have you ever heard the old adage that “dust and dirt doesn’t take a vacation?” Well it’s a timeless saying for a reason. Spend a week RVing at the beach or a campground without a paved pad in place and you’ll instantly know why the saying rings true. The good news is there is a way to at least make cleaning up one’s act virtually effortless. And it all starts with the installation of an RV central vacuum system. Today’s RV central vacuum systems install easily and are not difficult to use. They also generate minimal noise, take up little space and generally last much longer than portable vacuums. Of course they’ll help to remove grime, dust and allergens from your camper too. When selecting a RV central vacuum system, be sure to think about the various attachments and accessories that may come with it. They can really simplify cleaning tasks and may make your motorhome more attractive to buyers should you ever opt to sell it. 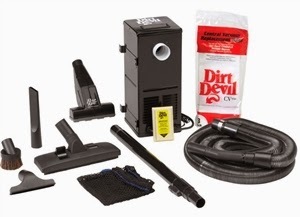 A great example of a valuable RV central vacuum system accessory is the Dirt Devil VacPan Auto Dust Pan. It eliminates the need to bend over and deal with a messy, manually held dust pan. All you have to do is sweep the debris towards the built-in dust pan and tap it with your foot. Then sweep the debris into the newly exposed opening. From there, the debris gets automatically sucked down into the RV central vacuum system. 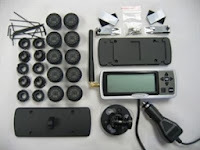 Other RV central vacuum system extras that may prove helpful are air fresheners, power heads, rug cleaning tools, crevice attachments and HEPA filters. They could easily be used in conjunction with additional RV interior cleaners. Ones that tend to work well when it comes to stain removal are 3X Chemistry Fiber Swipe Towels, 303 Fabric Vinyl Cleaners and Best Carpet/Upholstery Cleaners. To learn more about RV central vacuum systems and other cleaning supplies available, please contact us. It's the time of year to winterize your RV and store it until the spring. If your RV will be living outside and facing the elements for the next few months, you should use a cover to protect it. There are many options when decided what kind of cover to get, so we put together a quick guide to make the decision easy. If you have any other questions you can always get in touch with us through email or our Facebook page! Deciding on what type of material is necessary for the climate you live in is a crucial component of purchasing an RV cover. Covers are available in a few different materials depending on brand. SFS AquaShed: SFS AquaShed is recommended for wet regions where intense sun exposure isn't a great concern. This is a great option for RV owners in the northern US and Canada. Tyvek: Tyvek is recommended for sun protection, so if you live in southern regions of the country or you want to protect your RV from harsh sunlight during the summer, Tyvek is a great option. Tyvek also has the added benefit of having the same level of moisture protection as the SFS AquaShed. UltraShield: Ultrashield is Camco's light-duty cover that's ideal for southern regions of the country. Its light design makes it easy to put on and take off, and its moisture resistant and breathable properties allow the cover to prevent mold and mildew growth. UltraGuard: UltraGuard is Camco's heavy-duty cover that is recommended for regions that will experience rain and snow. The same UV protection is present in UltraGuard as in UltraShield. If you have any questions, please get in touch with us at RVUpgrades.com so you can be sure your RV will be properly protected all winter! The RV Accessory world is expanding at an ever increasing rate and staying on top of what is new and exciting is not always an easy task. There are a couple of resources out there dedicated to RV news and the products used in motorhomes, campers and at the campground. RV News is chock-full of new product news. Just scroll down their new RV product page to see any of the following RV Accessories. Don’t want to miss your favorite football game this season? RV News is currently showcasing the new Winegard Pathway X2 portable satellite high definition TV antenna. The new antenna is being offered in partnership with DISH and delivers a true HDTV viewing experience for mobile or outdoor activities such as RVing, tailgating and camping. The new antenna is powered by a DISH receiver, which is sold separately. Ultra-Fab Products continues it's trend of developing industry-leading electric tongue jacks with the introduction of Zerk technology that dramatically increases the life of the jack over competitive products. Travel trailers are becoming larger and heavier, RVers need a reliable, long-lasting tongue jack that will withstand the rigors of the camping lifestyle. With the Ultra Fab Ultra 3502 Electric Tongue Jack consumers can buy a jack that can last the life of the camper they install it on. More good news for RV travelers who want to ensure their comfort in warmer climates. RV Daily reports that popular Xantrex is now offering a 24-volt Freedom SW series inverter/charger for your RV. “The new Freedom SW 24V is ideal for powering a demanding mix of AC loads and charging large 24-volt battery banks,” according to John McMillan, director of sales for the Xantrex brand at Schneider Electric. A video of the new product’s features is available. 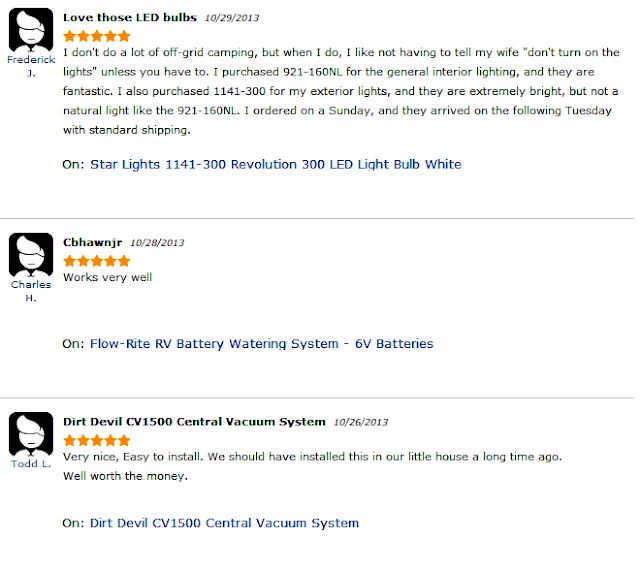 We here at RVupgrades.com also try to keep you up to date on the latest product news with our own site located at RVAccessoryNews.com We feature rv accessories that have had a positive impact on the lifestyle based on customer feedback we have received through reviews they have left on our website. And as always check back here often for articles that we put together on products we have tested and used in our own RV'ing experiences. Just a few short months ago we joined an amazing product reviews service called Yotpo. Yotpo has since helped us gather over 2,500 reviews from our customers on RV products they have purchased through our store. These reviews are super important to us because our customer’s feedback helps us improve the products we inventory and sell online. Below are a few examples of the amazing feedback we have received from our customers since joining Yotpo. Another cool thing about Yotpo is that we can easily share our favorite reviews on our Facebook and Twitter pages so that our fans get to read about RV accessories that truly make a difference in the RV'ing lifestyle. Special thanks to everyone that has written a review for us and we hope to share many more in the future. With winter about to hit, many of you will be storing your RV for the season. Whether you're planning on storing your RV in a garage or outside, there are a few steps you should take to winterize your RV before you leave it to sit for an extended period of time. Follow these steps and your RV will be ready for your first road trip of spring! Winterizing an RV primarily involves making sure the water and drainage lines are prepared for cold weather so they don't get damaged. Start by draining the fresh water tank as well as the gray and black holding tanks. This should be done at a sanitary dump station so waste gets disposed of properly. You will also want to clean out the black tank. It's important to make sure the water heater is not hooked up or hot when you are draining the water heater. Once the heater is cool, bypass the water heater and remove the cap and drain the heater. Open all hot and cold faucets in your RV to drain any remaining water in your system. Don’t forget the toilet, shower, and any other water system you have that has a valve. Use a blow-out plug attachment with an air pump or compressor to completely clear out your lines of water. Once all water has been blown out of the lines, replace the caps on your drains and close any faucets and valves. Depending on where you live, putting anti-freeze in your water lines may not be necessary. If your RV will regularly be exposed to below freezing temperatures, however, you will want to add anti-freeze to the lines so they are protected. 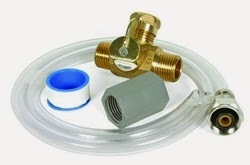 To pump anti-freeze into your lines, install a bypass valve, such as the Camco Pump Converter on your water pump and pump anti-freeze directly from the bottle through your water system. Turn on the cold water of your valves and faucets and wait until anti-freeze begins to come out. Repeat this for the hot water as well. Make sure you flush the toilet as well and leave a bit of anti-freeze in the bowl. Also pour a bit of anti-freeze into your drains. And that's it! Your water system will now be protected against freezing temperatures throughout the winter and you won't have any unpleasant surprises when you prepare your water system for the spring. Visit our winterizing page for our entire selection of RV winterizing products and please don’t hesitate to get in touch with us via email, Facebook or a leave a comment if you have any questions! So why allow someone else to have control over the electricity entering your RV? One of the risks of any campground is the quality of electricity provided. There are many different factors that can influence the power flow including how many other RVs are plugged in, weather conditions, old wiring and more. With surge protection, you have the ability to control the quality of electricity coming into your RV. So What Exactly Does A Surge Protector Do? Surge protectors will offer different features depending on what you are looking for but at the very basic level, they prevent voltage spikes from damaging your equipment. A voltage spike is a very fast, short duration of electrical current or voltage to the electrical system. Poorly maintained campground power outlets, lightning strikes or a mis-wired power pedestals can all cause uneven power flow to your RV. Many upgraded surge protectors will also offer over/under voltage protection which is important in saving your equipment. For example, on a hot day when everybody has their air conditioning on, the voltage can drop dangerously low and result in a brown out. Anything above or below the UL standard of 102 to 132 volts is potentially harmful. What Should I Look For When Buying A Surge Protector? Portable or Hardwire: Would you rather have your surge protector built into your RV or would you rather plug it in every time? Protection Rating: This will be measured in Joules, which is a unit for energy. The higher the number, the bigger the spike it can safely handle. Unit Size: Here you are looking at Amp rating which corresponds to the type of power when plugging in your RV. Here is a list of the RV surge protectors that we offer. We hope you liked our guide! If you have further questions, comments or need help making a purchase, please let us know! At RVupgrades.com, we know RV Surge Protection, and can help you choose exactly the right one for your RV. Feel free to contact us any time for more information.